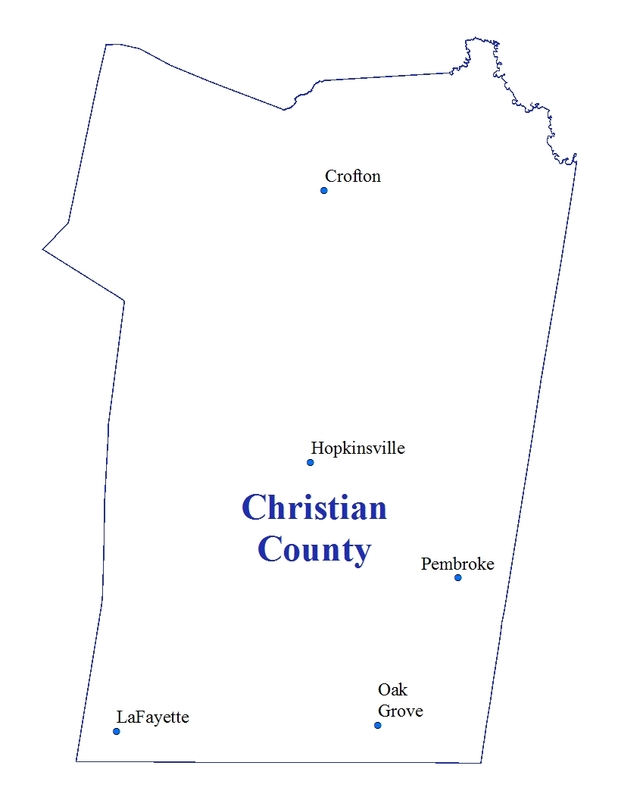 ​Christian County and its county seat, Hopkinsville, are located in southwestern Kentucky, a part of the Pennyroyal region. The county is bounded on the north by Hopkins and Muhlenberg Counties, on the east by Todd County, on the west by Trigg County, and on the south by Montgomery and Stewart Counties, Tennessee. The Pennyroyal Region draws its name from a branched annual plant in the mint family that grows to 18 inches in height. Pioneer settlers found Pennyroyal growing in abundance throughout the area, and they bruised the leaves and stems for use as a very effective mosquito and tick repellant. A tea made from the plant was used for treating pneumonia. Indians used such a tea for headaches, and in colonial times, it was recommended for inducing perspiration in people suffering from colds. Boiled in water, the plant was used by Indians to relieve itching eyes. Around a century ago, the colloquial term “Pennyrile” came into common usage and has been adopted in everyday speech, becoming more generally accepted than the original pronunciation. Throughout its history, Christian County has been an agricultural community. It is not only one of the leading agricultural regions in Kentucky, it has a place in history. In 1962, the late Harry Young is credited with planting the first field of no-till corn on a commercial farm in the United States. Today, most of the county’s grain crops are raised using no-till methods that Young helped pioneer. The county, with an estimated 1,171 farms covering nearly 300,000 acres, annually ranks among Kentucky’s top counties in crop revenues and overall agricultural revenues. Burley and dark-fired tobacco account for about 1/3 of the total revenue. This region, along with western Tennessee, produces almost all of the world’s dark-fired tobacco, which is processed into chewing products. Throughout Kentucky, Christian County ranks second in the growing of wheat for grain; third in dark fired tobacco; fourth in growing corn for grain; and seventh in the production of soybeans. The county also ranks high in Kentucky for production of corn, wheat, soybeans, barley, cattle and hogs. Most of the grain crops are grown in the relatively flat southern half of the county, while the hilly northern half is better suited for tobacco and small farms. The climate in Christian County is temperate with moderately cold winters and warm, humid summers, resulting in an average annual temperature of 56.7 degrees as measured by the National Weather Service. Precipitation is fairly well distributed throughout the year. The least rainfall usually occurs in August, September and October, making the period especially suitable for outdoor activities. The wettest months on the average are March and December. Normal rainfall for the year as a whole is 50.60 inches. The growing season (defined as the number of days between the last spring freeze and the first fall temperature of 32 degrees or below) averages 194 days. The first killing frost of the season normally comes on October 21. The population of the county grew steadily through the 19th and 20th centuries. 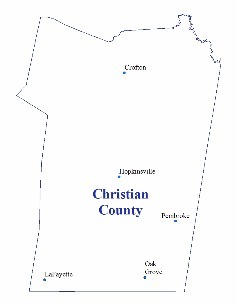 An estimated 78,459 people call Christian County home. The land area of the county covers 725 square miles. In recent years, Christian County and Hopkinsville have been successful through their Economic Development Council, in recruiting new industries into the area. In addition to the original Hopkinsville Industrial Park located on the Pembroke Road, there is a newly expanded Commerce Park which lies just north and west of Pembroke, Kentucky. While automotive parts still make up the bulk of finished goods, in the older Hopkinsville Industrial Park, industries in Commerce Park are more varied. 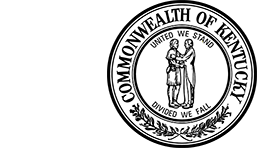 Products leaving the plants range from ink at Sun Chemical to plastic packaging material at F.P. International and pancake mix at Continental Mills. For more information regarding the industries located in Christian County, log on to the Hopkinsville-Christian County Economic Development Council at www.hopkinsvilleindustry.com.